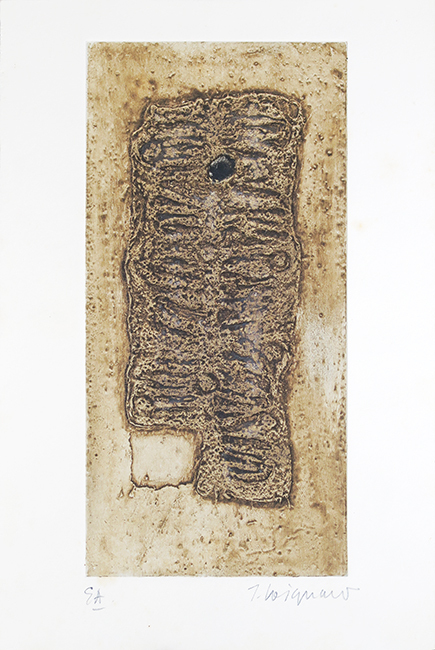 Original carborundum etching in 4 colours (variant with black dot), signed in pencil by the artist. Matarasso Ed., Nice. Edition : 45 signed proofs + 10 E.A. Condition : Few light foxing marks in the margins.